Fine Arts graduate from the University of Barcelona, specializing in Sculpture, 1995. Simultaneously he studied at the Glass Center of Barcelona, and thanks to a scholarship, also at Sheridan College of Art and Design in Toronto, Canada. 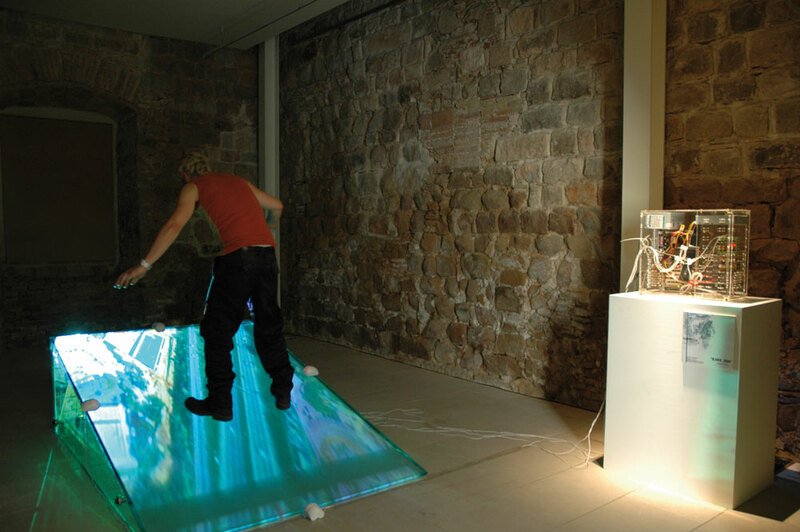 After being professor at the Glass Center of Barcelona, he set up his own studio at the very center of Barcelona in 1999. His work develops the idea of the present time by requiring the acción of the spectator or even his use, the artistic object is just a medium for the truly art, which occurs in between the object and the spectator. “Artistic objects doesn’t exist, but artistic experiences and appropriate objects to provoke them.” Javier Blanco, INTERPRETACCION, 1999.